Greetings. 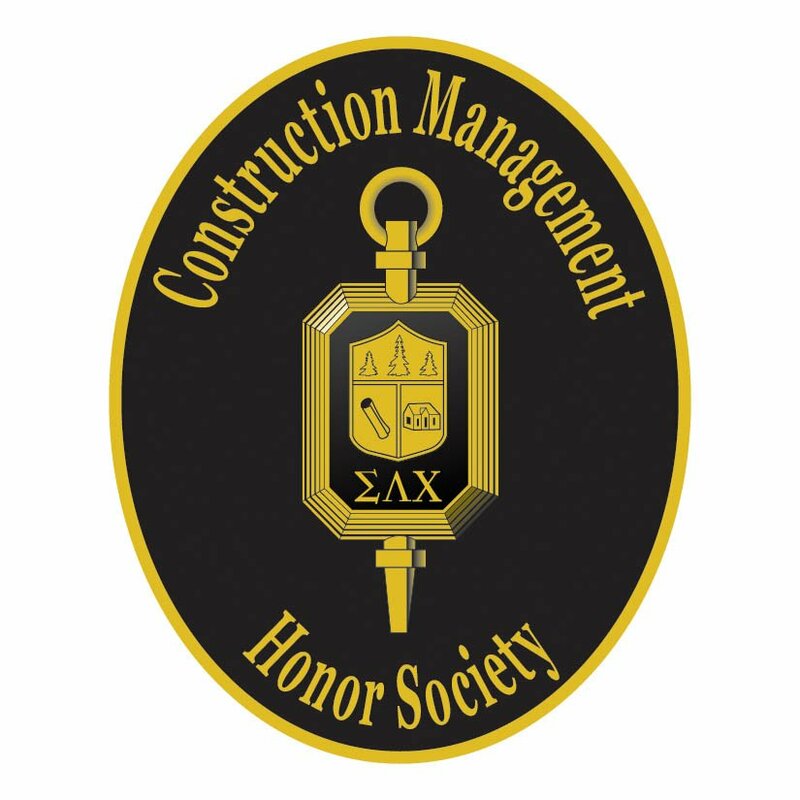 The Sigma Lambda Chi International Construction Honor Society welcomes visitors to this site. Please feel free to review this website to learn more about the only honor society for construction majors. Welcome back to another school year! We wish all our chapters and advisors well as they appoach the fall installation season. The Sigma Lambda Chi International Office hopes that you are enjoying the streamlined registration and payment program, the updated website, new chapter awards program and trend charts. This summer we have added a few more items to the website for your use. Social Media: SLC is now present on Facebook, LinkedIN and Twitter. The Links to these social media outlets can be found to the left of this article. Recruiting Poster: We have designed a recruiting poster that can be used during your prospective member inquiry sessions. These Recruiting posters can be printed in color or black and white and come in 3 different sizes. They can be found under the Chapter Resources Tab above. SLC Merchandise: You can order stoles and honor cords directly from our websiteand have them shipped directly to your school. We also have additional SLC merchandise available that would be make great Christmas or graduation gifts. Simply click on the merchandise tab above. As we approach our 70th Anniversary in April 2019, we want to say thank you to everyone who has supported SLC over the years and helped these fine men and women realize their full potential as construction education students and as future professionals in construction. The Sigma Lambda Chi International Office is excited to highlight all the actions that have been completed over the last year. It has been our goal to give SLC a fresh look and to continue to modernize SLC to gain the interest of a new generation of SLC members and advisors. We are proud to say that we now have 23,358 members and 64 active chapters. We installed 782 members in 2017 with the spring semester being the highest member count in our history and our fall semester being the highest member count since 2011! We welcomed one new chapter in 2017 and three new chapters in 2016. We have worked with eight other chapters to reactivate and install new members during the 2016-2017 school year. How exciting! Here are some highlights of our updated documents and procedures. Chapter Activity Reports: Chapter activity reports are now online and easier than ever to complete. A chapter advisor of officer can complete the report in under ten minutes. International Chapter Awards: Effective March 1, 2017, a new awards point system was approved by our board of directors. All active chapters were presented with a beautifully crafted and generously donated perpetual plaque at the 2017 SLC Convention. Each year a plate will be presented to the chapters representing their yearly status of Active, Bronze, Silver or Gold. The award level will be determined as the result of details on the Chapter Activity Report. New Member Booklet: The 35 page new member booklet was streamlined to a full color tri-fold brochure. It is given to all new members as a part of their new members items. New Chapter/Advisor Booklet: We designed another full color tri-fold brochure to promote SLC to potential chapters and advisors. Hard Hat Stickers: After some research, it was found that the students no longer cared for the window clings that were part of the new member package. We now have a newly designed hard hat sticker that can be proudly displayed on member hardhats on the job site. Each member receives 2 with their membership. Online Registration and Payment System: We are excited that our online registration and payment system for new and honorary members is working well. With proper planning, this new system allows for a quick and easy way to assist advisors when inviting new members while the International Office takes care of the payments. You can find a step-by-step PowerPoint with instructions on how to use our new system on the advisrs home page. The feedback from advisors has been very positive. New Member Packages arrive BEFORE your installation: The new online invitation system has allowed the International Office to process the new member paperwork more efficiently resulting in new member items being shipped out in time to arrive before the chapter installation ceremony. We have found that new members really enjoy having their items immediately. They can proudly start wearing their pins and hard hat stickers right away. New and Updated SOP Manual: We have completed our revision of the SOP manual and we think you will be excited to see how much more user friendly it has become. You can find both a PDF and PowerPoint version on the advisors homepage for your review. Chapter Trends Charts: You can now track your individual chapter membership trends. These charts can be found on the advisors home page under Chapter Trends in the green drop down menu. Thank you for all your hard work, efforts or interest in Sigma Lambda Chi. We look forward to another great year! The SLC, Int'l office has been busy this summer. Our long time office manager, Sharyn Switzer, retired in April. Her part time assistant, Kimberly Switzer has stepped into the office manager position effective April 1st. Kimberly has a BA from Purdue University. She majored in psychology with a minor in business. Mrs. Switzer has been married to Andy, a professional civil engineer, for 17 years and they have 7 children. Kimberly is looking forward to learning more about the SLC community and meeting its many members, faculty advisors and supporters. In addition to our staff changes, we have also relocated our International office to southern Lafayette. We are still located in Indiana, near Purdue University. Our address remains the same PO BOX 6383, Lafayette, IN 47903, but PLEASE NOTE, that our phone number has changed to 765-471-1749. Just a reminder....our SLC office is a part time office and the hours may vary, but rest assured, we are here to help and will return your phone/email messages as quickly as possible! It's official......We took a headcount and were thrilled to find out that since our first chapter was established in 1949, that we now claim 21,569 members! With 561 new members inducted during the 2015-2016 school year! Congratulations to our new members and welcome to the SLC community! In other exciting news.....We are making what we hope to be great changes in how we process our new members. We anticipate that these changes will lead to a smooth and more efficient way for our faculty advisors/OIC's to invite, process and induct our new members. First, we plan to now offer ONLINE PAYMENTS for our new members when they register. Second, we are going to change our registration guidelines and deadlines so that new members will receive their new member items during their induction ceremony. And lastly, we will be updating our Membership booklet to allow more information to be online. New Item.....Starting with the new class of inductees this fall, we will be including a SLC hard hat sticker in the new member item package. We hope that you will PROUDLY display this sticker on your hard hat while you are at work or involved in a community service project. We've added a couple of web pages to this website for more resources to be available to you. And we continue to update information, the listing of individual Sigma Lambda Chi members, merchandise information, and general news. 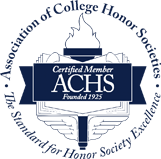 And, don't forget to check-out this new ACHS Video on this web page that briefly highlights the benefits of belonging to an Honor Society. We hope all of you are having a great break, or summer project, co-op, or internship. We look forward to the new academic year that is quickly approaching and hearing from our chapters and all that they have accomplished this summer! Best wishes for a great new semester! Hard Hat Stickers are here!! New Item.....Starting with the new class of inductees FALL 2016, we will be including a SLC hard hat sticker in the new member item package. We hope that you will PROUDLY display this sticker on your hard hat while you are at work or involved in a community service project. Xi Chapter at the University of Louisiana at Monroe, 7 new members! Epsilon Chapter at the University of Florida, 22 new members! Tau IV chapter at Minnesota State University Moorhead, 5 new members! Zeta V chapter at Alfred State College, 1 new member! Mu II chapter at Tuskegee University, 6 new members! Happy New Year and Congratulations to our newest members of 2019! Pi II at North Dakota State University, 4 new members! Delta III at Indiana State University, 3 new members! Iota at Auburn University, 22 new members! Mu II at Tuskegee University, 1 new member! Mu IV at Boise State University, 3 new members! Delta IV at The University of Arkansas Little Rock, 5 new members! Nu IV at the University of North Florida, 4 new members! Iota IV at California State University, Chico, 8 new members! Theta at the University of Washington, 9 new members! Eta III at the University of Cinncinati, 8 new members! Epsilon IV at the University of Texas at San Antonio, 3 new members! Pi IV at South Dakota State University, 3 new members! Eta at Arizona State University, 9 new members! Epsilon at the University of Florida, 18 new members! Tau IV at the University of Minnesota Moorhead, 4 new members! Kappa at Colorado State University, 7 new members! Phi at California Polytechnic State University, 27 new member. This is their largest class since 2005! Welcome back to the Upsilon II chapter at Southern Illinois University, Edwardsville. They will install two new members on November 26, 2018. This will be there first install since 2012. Congratulations! Iota Chapter at Auburn University, 10 new members! Alpha II Chapter at the University of Southern Mississippi, 11 new members! Iota II Chapter at East Carolina University, 13 new members! Pi Chapter at Kansas State University, 6 new members! Delta III Chapter at Indiana State University, 3 new members! Omicron II Chapter at Ferris State University, 6 new members! Chi Chapter at The University of Minnesota, 5 new members! Beta Chapter at Virginia Polytechnic Institue and State Unviversity, 11 new members! Please welcome the Nu II chapter from City University of New York (CUNY) - City Tech. They will receive their official chapter charter on May 15th when they welcome 6 new members. Congratulations to Advisor Sowder and the Nu II chapter. Welcome to SLC! Welcome back to the Gamma IV and Zeta IV Chapters! Gamma IV recently installed 23 members. Their first install since 2014. Congratulations to Advisor Max Kirk and the Gamma IV chapter from Washington State University. Zeta IV installed 8 new members. Their first install since 2015. Congratulations to Advisor Leitzke and the Zeta IV chapter from Milwaukee School of Engineering. Welcome back to both chapters!! We would also like to thank Advisor Christine Piper for her 20 years of service to Sigma Lambda Chi. Advisor Piper has advised the Tau Chapter at Clemson University for 20 years as well as being a board member of Sigma Lambda Chi International, holding the role of vice president and then president from 2013-2017. Many thanks to Advisor Piper for her support of SLC. We wish you the best on your future endeavors! A BIG Welcome Back to the Alpha II chapter from the University of Southern Mississippi. Congratulations to Director Connell and his team for their first installation since 2008! They have invited their first ever member from 1975 to attend! Welcome back Alpha II and congratulations on your 16 new members! Congratulations to the Epsilon III chapter at the University of Wisconsin Stout. They have installed 26 new members during the 2017-2018 school year. This is the highest new members count since 2012. An additional shout out to Advisor Tim Becker, who is celebrating his 18th year as an SLC chapter advisor. Best wishes Epsilon III!